Ideal Garage Doors, Ideal Garage Door installation | Overhead Garage Door, Inc. 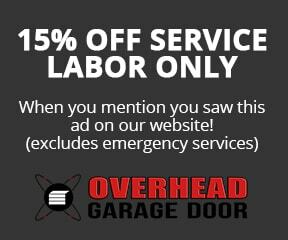 Overhead Garage Door, Inc. is an authorized dealer for Ideal Door. Offering a variety of quality, pricing, and customizable styles, Ideal Door is a great choice for homeowners looking to add a unique focal point to their residential exterior. If your Ideal Door requires maintenance, or you’re looking to update your home, Overhead Garage Door, Inc. can help! I deal Door offers a wide variety of raised Traditional Steel Garage Doors. The Best Traditional Steel Garage Doors in Ideal Doors’ offering include features such as the Intellicore layer, to increase thermal efficiency and two solid steel skins. This is a great option for a garage attached to a common living area, as it provides the highest quality insulation for energy efficient heating and cooling. The Ideal Door Designer Steel Garage Door series is notably quieter than other insulated steel garage doors and perfect for garages with overhead and adjacent living spaces. With quality insulation and a durable steel build, the Best Designer Steel Garage Doors offer maximum performance and energy-efficiency. The perfect compliment to Craftsman, farmhouse and traditional style home, the Ideal Door Best Premium Handcrafted Garage Door is a high-end, wood garage door. Homeowners looking for a personal touch, or those who enjoy the natural aesthetic of wood grain will be delighted by the customization and quality craftsmanship of the Premium Handcrafted Garage Doors. Another high-quality insulated garage door option is the Better Traditional Steel Ideal Door. This visually-appealing, steel garage door comes with polystyrene insulation to offer thermal efficiency and value all in one. Manufactured with 24-gauge steel, this garage door is durable and eco-friendly. Beautiful, versatile and functional, the Better Designer Steel Garage Doors by Ideal Doors are an easily customizable option. Available in short and long panel, with accent windows and ornate hardware offerings the Better Designer Steel Garage Door is a moderately priced option for a quality steel garage door. Ideal Door’s Better Premium Handcrafted Garage Doors offer high-end quality and traditional style at a moderate price point. They are the perfect option for a homeowner interested in maintaining an old world style with the convenience of durable hardware and low-maintenance steel. Ideal Door has a wide selection of Traditional Steel Garage Doors at varying price points. The Good Traditional Steel Garage Door is the premier value traditional steel garage door offering. With vinyl backed and insulated options available, this style is customizable based on your Ideal price point. The Ideal Door Good Designer Steel Garage Doors are the most cost effective offering in this series, with insulated and one-panel options available. As a homeowner, you have options for either short or long panel design and a variety of colors, windows and hardware to choose from to create a carriage house garage door style. The Good Premium Handcrafted Garage Doors by Ideal Doors are a cost-effective option for homeowners seeking a custom style and quality design. The Good Premium Handcrafted Garage Door series can easily be modified to resemble an authentic carriage house garage door. Each garage door is individually quoted and made per homeowner’s selection. As an Ideal Door Factory Authorized Distributor, Overhead Garage Door, Inc. can install and repair your custom designed garage doors. Servicing Chicago and Chicago suburbs for over 30 years, we are experts in garage door maintenance. Contact us today to discuss your plans for a custom Ideal Door garage door.